Metal, Clear, & Invisalign Braces help you achieve a healthy, beautiful smile! We offer affordable orthodontic treatment options in St. Louis including metal, clear, and Invisalign braces. While there are numerous benefits to having straight teeth and proper bite alignment, we’re here to help you achieve your smile goals. Not only is there a strong aesthetic component to straight teeth, but scientific research also shows that a beautiful smile improves your self-esteem, enhances the quality of your relationships, and improves your success at school and work. For children, the greatest benefit of youth orthodontic treatment comes from early examination, consultation, and treatment such as youth braces or even Invisalign. When early evaluations are complete, the chances for effective and successful treatment are much greater, too. There are numerous benefits to getting a child’s teeth corrected. Youth orthodontic treatment like youth braces benefits the total oral health of your child. As they grow into adulthood, changes occur in the gum tissues and the bones that support the teeth. 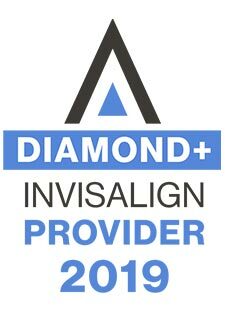 The American Association of Orthodontists believes that children should be seen by age 7 to evaluate if youth orthodontic treatment, such as Invisalign, is required or if there are any preventative steps to avoid extensive orthodontic treatment in the future. Additionally, it is well-known that youth orthodontic treatment is socially acceptable, and your child may see psychological benefits from experiencing youth braces that help them get straight teeth at the same time as many of their peers. Orthodontic treatment for adults is a decision of many factors, but with great benefits and significant outcomes. Although the process for adult tooth movement is very similar to that of childhood orthodontics, the adult patient is treated specially, due to the differences in the adult gum tissue and the bones that support adult teeth. We offer many treatment options for our adult patients to get straight teeth including clear braces and Invisalign treatments. Your smile is just the start at Cardinal Orthodontics! Contact us today to schedule a free exam.